Seal in the flavour for delicious seared meats and crisp roast potatoes. At once. Turbo Grilling from AEG circulates heat in the oven for even cooking. All while achieving an authentic spit roast effect. With the door closed. No turning needed for a perfectly browned finish and unrivalled flavour. For great results, you can adjust the levels of the telescopic OptiFlex™ Runners inside your oven – accommodating both tall and differently sized dishes. UK_COOK_CHILD_SAFETY: Controls can be locked for perfect safety, easing concerns of families with young children and pets. 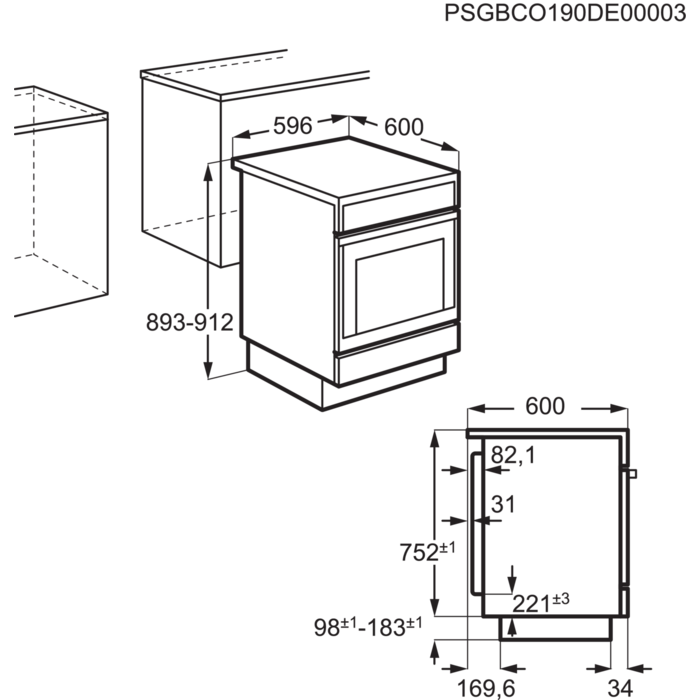 UK_COOKER_SLOT_IN_TOP_CONVEN: Heat from the top and bottom elements provides traditional cooking for the professional cook. Ideal for baking bread and cakes. UK_COOK_Base heat: Heat from the bottom element only, ideal for reheating pies and pastries as it keeps the pastry crisp. It can also be used to slow cook.